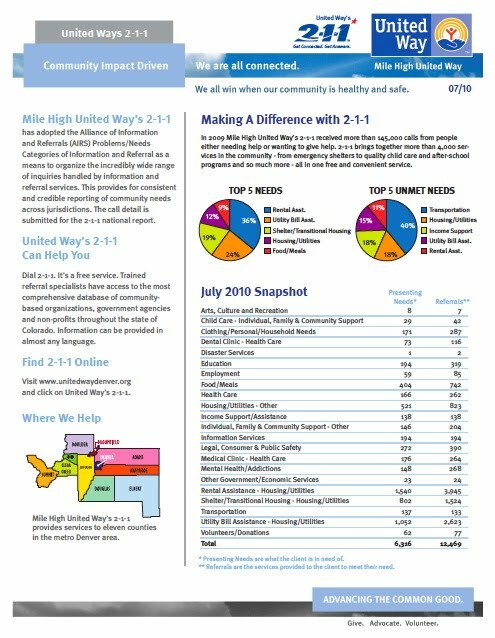 Kudos to the United Way of Denver and their Colorado 2-1-1 partners. 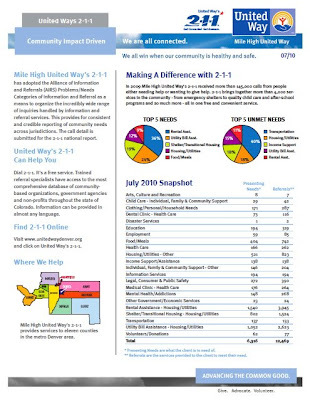 We are pleased to support their work with our Community Operating System (formerly Tapestry) and wanted to do a shout out about their excellent reporting. 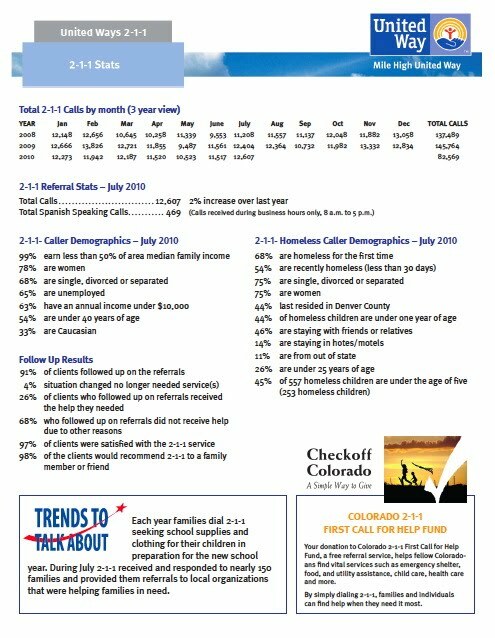 Note in particular the clearly presented information about top met and unmet needs, presenting needs, the monthly snapshot, and trend data.